“Year 2017 is drawing to a close. All the goals we set ourselves at the beginning of this year have been achieved. Stability has been established in Azerbaijan“. With these words, the Azerbaijani President Ilham Aliyev started his last New Year’s Eve speech. First, the speech emphasised the growing international ties of the country and the commitment to “multiculturalism”. Second, the conflict over Nagorno-Karabakh was mentioned at length, specifying how Azerbaijan enjoyed both a diplomatic and military advantage over Armenia. In this regard, it was proudly said that, as a result of the warfare operations in April 2016, Azerbaijan had recovered some villages previously under the control of the enemy. Finally, the economic situation was tackled, arguing that, despite the low oil prices, the country successfully had managed its currency reserves and promoted its non-oil sector. The emphasis on multiculturalism and international ties seems to reveal a willingness to boost the external legitimacy of the country. As already discussed in this blog, Azerbaijan has recently adopted a much less confrontation attitude vis-à-vis the international community. Political discourse now consistently portrays Azerbaijan as an internationally-oriented and multicultural country. For instance, in addition to including the multicultural nature of the country in the aforementioned New Year’s speech, President Aliyev raised this theme again while giving his Christmas congratulations to the Azerbaijani Orthodox Christian community. In President Aliyev’s words: “‘The atmosphere of intercivilizational and intercultural dialogue (…) day played an exceptional role in building rich traditions of multiculturalism and tolerance, national moral and public values, establishing civil solidarity in our multinational and multiconfessional society”. Nevertheless, this type of rhetoric does not shield Azerbaijan from international criticism. Notably, in September 2017 the European Parliament called for an investigation into Azerbaijan’s alleged attempts to corrupt influential Europeans, paying them money in exchange for a favourable representation of the country. In the same month, MEP Daniele Viotti formally asked the Commission Vice-President (and High Representative for Foreign Affairs and Security Policy) Federica Mogherini to specify the Commission’s position about Azerbaijan’s repressive approach to the LGBT community. The head of the Council of Europe Thorbjørn Jagland also voiced his concern over political prisoners in Azerbaijan and suggested legal actions that could lead Azerbaijan being ejected from the Council of Europe. Along with its (only partially successful) search for international legitimacy, the president’s speech also addressed economic issues. However, it is worth noting the relatively limited emphasis placed on these issues. This is in sharp contrast to past declarations, especially those given in the happy years of the oil bonanza (i.e. when the oil price was extraordinarily high). For instance, in his presidential inauguration speech in 2013, President Aliyev declared that: “We conduct an independent policy. Our independent policy is underpinned by economic independence”. Azerbaijan has tried to foster its economy partly to offset the drop in oil prices (as already discussed in this blog). While the New Year’s Eve speech did not provide too many details, there have recently been attempts to increase tourism and foreign investments. However, there are limits to their implementation and effectiveness. In December 2016, the setting up of a national Tourism Council was approved by presidential decree. According to Abulfas Garayev, Minister of Culture and Tourism, in its first year of existence, the Council has already taken important decisions. Remarkably, in 2017, the number of visitors increased by 20% to almost 2.5m tourists, who it is estimated spent around 1.3 billion in the country. Muzaffar Agakarimov, the adviser of the Chairman of the Azerbaijani Tourism Association, recently declared to local media that: “Incoming tourism is becoming more popular in Azerbaijan, [which] is the most important part of the overall tourism sector as it brings foreign currency and creates new workplaces for local people,”. Additionally, he pointed out the abolition of licenses for tourism companies and the plans to construct more hotels, including budget ones. Notwithstanding this optimism, the full development of the tourism sector faces some challenges. For instance, high taxes and fees make it particularly expensive to fly to and from Baku (reportedly, many Azerbaijani citizens chose to save money by using Tbilisi airport, in neighbouring Georgia). These costs have discouraged some foreign low-cost companies, such as the Russian ‘Pobeda’, which decided to discontinue their Baku route. Similar considerations can be made about the attempts to attract foreign investors. However, foreign investments are hindered by bureaucratic obstacles, such as the slow privatisation process and unfair advantages to state enterprises. These considerations are fully in line with a report of the German-Azerbaijani Chamber of Commerce about Azerbaijan’s business climate, based on a survey conducted among 300 companies from 19 EU countries. According to more than half of the respondents, the business and investment climate is negatively affected by custom scontrol and corruption, and by the ineffective measures to tackle these problems. These issues were also lamented by some Azerbaijani experts. As the local expert Nemat Aliyev noted, foreign bankers and investors are discouraged not only by the economic crisis but also by “monopolism, corruption and bribery”. The contradiction between Azerbaijan’s craving for foreign investments and the endurance of such obstacles is not easily explicable. However, it can be partially understood in light of Dr Farid Guliyev’s research. According to him, in the years of the oil boom the state channelled oil profits into the construction of extravagant infrastructure projects. These empowered a small elite of private entrepreneurs, whose success is rooted in political support and oil earnings. 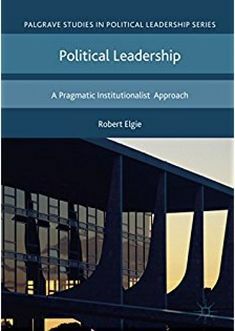 Considering the potential risks related to a radical shift of the status quo, this elite is not likely to support a genuine diversification of the economic structure, regardless of the benefits for the country as a whole. In conclusion, the tone of the recent New Year’s Eve speech by President Ilham Aliyev is entirely in line with the challenges Azerbaijan is currently facing. The drop in oil prices, and the related economic consequences, are making Baku not only reform its economic structure but also its attitude in international forums. Azerbaijan needs to make economic and foreign policy adjustments to combat its diminished leverage vis-a-vis the rest of the world. Additionally, 2016 was proclaimed the year of multiculturalism. Azerbaijan News Gazette. 2018. ‘President Ilham Aliyev extends Christmas congratulations to Azerbaijan`s Orthodox Christian community’, January 5 (Retrieved through LexisNexis). Also Western newspapers, such as “The Guardian”, covered this issue. TendersInfo. 2017. ‘Azerbaijan: The board meeting devoted to the results of the Ministry of Culture and Tourism in 2017 has been held’, December 28 (Retrieved through LexisNexis). Turan Information Agency. 2017. ‘This Year Tourists Spent 1.3 Billion Dollars in Azerbaijan – Deputy Minister’, December 18 (Retrieved through LexisNexis). Azer News. 2018. ‘Association: New types of tourism develop in Azerbaijan’, January 4 (Retrieved through LexisNexis). Guliyev, E. 2017. ‘Azerbaijani Citizens Prefer to Fly through Georgia, AZAL Prefers to Remain Silent’, Turan Information Agency, October 2 (Retrieved through LexisNexis). CountryWatch Reviews. 2018. ‘Investment Climate Azerbaijan’, January 6 (retrieved through LexisNexis). Turan Information Agency. 2017. ‘EU-companies about the business climate in Azerbaijan’, January 16 (Retrieved through LexisNexis). BBC Monitoring Trans Caucasus Unit. 2016. ‘Azeri opposition daily says foreign companies flee Azerbaijan’, January 29(Retrieved through LexisNexis). Guliyev, F. 2017. ‘Azerbaijan’s Uneasy Transition to a Post-Oil Era. Domestic and International Constraints’, PONARS Eurasia Policy Memo No. 475, May. This entry was posted in Azerbaijan, Caucasus and tagged Azerbaijan, economy, external legitimacy, presidential speech on January 22, 2018 by Chiara Loda. Ilham Aliyev, the president of Azerbaijan, seems increasingly concerned about international criticism of his country. In Aliyve’s words: “[International circles] are trying to present Azerbaijan as a totalitarian and authoritarian country where rights and freedoms are violated. This trend started the day I was elected President” .Despite the aggressive tone, this reveals that Azerbaijan is worried about its reputation. This is a change from before and results from the global drop in energy prices, which has severely hit the Azerbaijani economy and, more broadly, the Azerbaijani sense of self-reliance. On August 24, Mehman Aliyev, head of the independent news agency ‘Turan’, was arrested by the Azerbaijani authorities. However, on September 11, he was released from pretrial custody. According to the analyst Liz Fuller, various developments may have influenced this outcome. One is pressure from international organizations, such as the ‘Council of Europe’ and ‘Reporters without Boarders’, as well as powerful countries. Notably, the US State department called for the immediate release of Mr. Aliyev. Concern was also voiced by the UK and France, while the Norwegian Foreign ministry Tweeted: “We are deeply concerned about the situation around the news agency and, in general, freedom of the press in Azerbaijan“. This apparent responsiveness to international pressures represents a clear departure from the past. For instance, during the ‘European Games’ hosted by Baku in 2015, the Azerbaijani political establishment ignored international pledges to free political prisoners, and dismissed negative press reports as merely the expression of a global anti-Azerbaijani bias. This departure does not result from a weakening of the ruling authorities. On the contrary, as analyzed in this blog, in 2016 a constitutional reform led to the massive empowerment of the presidency. The presidential mandate was extended from five to seven years, and the president acquired the right to dissolve the Parliament under certain circumstances, and to appoint a vice-President (who is, de facto, an unelected second-in-command). With reference to this latter point, in February 2016 President Aliyev chose his wife, Mrs Mehriban Aliyeva, as the vice president of Azerbaijan. This move can be interpreted as an attempt to further consolidate the continuity in power of the whole Aliyev family. In this regard, it is worth mentioning that the current president, Ilham Aliyev, is the son of late president Heydar Aliyev, who ruled the country from 1993 to 2003. A more convincing interpretation suggests that this more conciliatory attitude on human rights issues could be related to the unfortunate effects of the drop of energy prices. In the past decade, lucrative oil exports fuelled the economic growth of Azerbaijan. For years, the profitability of the energy sector provided few incentives to the systematic promotion of other industries. Thus, despite the president’s emphasis on the importance of the non-oil sector, actual investments in that direction remained modest. In November 2016, the Turan information agency complained about the lack of a coherent strategy to support small and medium-sized business. However, the economic crisis required some proper moves in that direction, such as the promotion of tourism. At the beginning of September 2017, President Aliyev attended the inauguration of the Khazar Palace hotel complex in the coastal city of Lankaran, which is located relatively near the Iranian border. The complex, equipped with all modern comforts, is openly targeting foreign tourists. In addition, Azerbaijan has also relaxed its visa policy. In mid-2015 President Aliyev declared that: “Everyone who wants to come to Baku should be able to receive an e-visa and not have to go to the embassy or elsewhere”. The introduction of e-visas, effective as of summer 2017, is a minor revolution for a country that “was a stalwart on the ‘Hardest-visa-to-get’ list”. The simplification was welcomed with enthusiasm by Arab visitors, especially from the Gulf, and contributed to the enhancement of the tourism sector. Their increasing presence is starting a debate about the appropriateness of building hotels that are compliant with Halal requirements, as a way of further attracting Muslim visitors. Additionally, the quick increase of affordable travel options is a crucial component of the national strategy of tourism promotion. Since the summer of 2017, low-cost flights have operated between Baku and Moscow three times per week. Furthermore, since the end of October 2017, an equivalent air-link has been in place between Saint Petersburg and Baku. In brief, whether these mechanisms are effective or not, the drop in energy prices is posing a remarkable challenge to Azerbaijan. Other than being a crucial economic issue, this situation affects the way Baku perceives itself and its relative weight in the international system. “There can be no talk of political independence without economic independence. (…) [Our guiding principles are] non-interference in each other’s affairs and mutual respect”. These words, pronounced by President Aliyev in his last inauguration speech (October 2013), seemed to imply that, by virtue of its oil-related wealth, Azerbaijan deserved immunity from international criticism. Since then, things have dramatically changed. The recent receptiveness of Baku to international pressures can be interpreted as the acknowledgement, for the time being, of the inappropriateness of a daring international attitude. Turan Information Agency. 2017. ‘Azerbaijan Not to Lose Anything from Leaving Council of Europe – Ilham Aliyev’, October 5 (Retrieved through LexisNexis). Turan Information Agency. 2017.‘Foreign Ministry of Norway Concerned about Situation around Turan News Agency’, August 30 (Retrieved through LexisNexis). Notwithstanding the empowerment of the presidential figure, journalistic investigations shed light on the presidential family offshore investments. President Ilham Aliyev was elected a few weeks after the death of his father. Turan Information Agency considers that over-dependency from the oil sector is the main feature of Azerbaijan’s macro-economic structure. That makes extremely difficult to bring about radical changes in the short-run [Turan Information Agency. 2016. ‘Unjustified tariffs and rates’, November 30 (Retrieved through LexisNexis)]. BBC Monitoring Trans Caucasus Unit. 2017. ‘Azerbaijan: Southern region media highlights 28 Aug – 10 Sep 17’, October 3 (Retrieved through LexisNexis). MENA English (Middle East and North Africa Financial Network). 2017. ‘Time for obtaining evisas to Azerbaijan reduced to three hours’, September 4 (Retrieved through LexisNexis). Global English (Middle East and North Africa Financial Network). 2017. ‘Land of Fire to take new steps for tourism development’, October 25 (Retrieved through LexisNexis). Turan Information Agency. 2017. ‘Economy Does Not Come Out of Crisis’, October 14 (Retrieved through LexiNexis). This entry was posted in Azerbaijan, Caucasus and tagged Azerbaijan, economic crisis, energy strategy, international reputation, non-oil sector, president on November 13, 2017 by Chiara Loda. Azerbaijan – A New Constitutional Reform: Towards a Monarchical Presidency? To amend Article 101.1 of the current constitution, which would extend the presidential term from 5 to 7 years. To remove the minimum age limit to run for President (currently, it is 35). Similarly, the minimum age for parliamentarian is lowered from 25 to 18. To introduce the right for the President to dissolve the parliament. This is in the event that the parliament votes no confidence to the government twice in a year or refuses the suggested appointees to the Constitutional Court, the Supreme Court or the Central Bank’s main board. In order to maximise the inclusivity of the voting process, polling stations have been established in Azerbaijani embassies. Remarkably, everything is ready in Ankara, Teheran and Riyadh. However, notwithstanding the vocal support of the ruling party, the opposition has expressed its grave concern over the proposed changes. In addition to being concerned about the future implication of these changes for the Aliyev family, the opposition is worried about the immediate effects of a “reinforced presidency”. Arif Hajili, the leader of Musavat party, bluntly declared that: “They [the state authorities] are not even able to explain to their citizens why we need these changes to the Constitution. They believe they can create a second North Korea here and rule in the same style”. Similarly, the prominent lawyer, Fuad Agayev, commented that: “An analysis of the document indicates that, if adopted, it will have an adverse impact on human rights, civil rights and freedoms, as well as power-sharing”. This kind of apprehension is also shared by some international observers. Chris Smith, Chairman of the U.S. Helsinki Commission, sent a concerned letter to Ilham Aliyev. At one point, it stated clearly that: “By lengthening presidential terms and expanding presidential authorities, the proposed constitutional changes are susceptible to abuse that would entrench political authority, making it less responsive to the will of the Azerbaijani people.” Lastly, some observers expect the referendum to be rigged. In September various well attended protest rallies took place in Baku. The main argument is that the only aim of the referendum is to reinforce Aliev’s rule. “No to monarchy!” and “No robbery!” were the main slogans chanted. Additionally, in the attempt to generate an international response, some Human Right Defenders asked to Thorbjørn Jagland, the Secretary General of the Council of Europe, to submit the proposed amendments to the Venice Commission. The main points of concern they raised were: the massive empowerment of the presidential office, the authoritarian climate the referendum takes place in, the non-consultation of the parliament, and the absence of public debate. In addition to the Azerbaijani Human Right Defenders, on 5 September the PACE Bureau also asked the Venice Commission to give an urgent opinion. In response, on 20 September the Venice Commission issued a “Preliminary Opinion on the Draft Modifications to the Constitution”. In the context of widespread concern on different matters, including the repression of dissident opinions, the Venice Commission expressed clear worries about the amendments in relation to the presidency. More specifically, it noted that, back in 2009, the removal of the two-term limit to re-election had already strengthened the power of the president. In the light of that, it said that: “the modification to Article 101 which extends the Presidential mandate for longer than is the European practice, coupled with the previous removal of the two-term limit, concentrates power in the hands of a single person in a manner not compatible with the separation of powers”. In addition, the Venice Commission expressed its concern about the president’s powers to dissolve the parliament, to call early elections, and to appoint a vice-president who, in practical terms, would be an unelected second-in-command. Even though the voting has yet to be finalised, the rejection of the proposed amendments seems highly unlikely in contemporary Azerbaijan. Henceforth, in the face of domestic and international concern, the presidential office, which is already remarkably strong, will be further reinforced. Unfortunately, this seems to be a prelude to a further consolidation of the authoritarian tendencies in the country. BBC Monitoring Trans Caucasus Unit. 2016. ‘Azeri court approves referendum on constitutional change’, 26 July (Retrieved through LexisNexis). In addition to him, the president has two daughters, Leyla and Arzu. Turan Information Agency. 2016. ‘It’s time for the United States to act on Azerbaijan’, September 9 (Retrieved through LexisNexis). Turan Information Agency. 2016. ‘Arif Hajili: Usurpation of Power Will Not Save Aliyev’. 18 September (Retrieved through LexisNexis). Turan Information Agency. 2016. ‘Jamil Hasanli: Aliyev does not get tired to pervert the Constitution’. September 17 (Retrieved through LexisNexis). The role of the Venice Commission, with reference to the constitutional referendum in Armenia, has already been discussed in this blog. Turan Information Agency. 2016. ‘The report of “Musavat” about the referendum campaign’. 5 September (retrieved through LexisNexis). This entry was posted in Azerbaijan, Caucasus and tagged Azerbaijan, constitutional amendments, Constitutional referendum, power balance, Presidential powers, venice commision on September 26, 2016 by Chiara Loda. From 17-19 June, the Formula One Grand Prix took place in Baku. In contrast to the “European Games” in 2015, the race received limited attention from governmental actors and the Azerbaijani media. Two explanations are possible. The first lies in the changed domestic circumstances. Given the global low energy price and its dramatic setback on citizens’ life standards, politicians deemed it inappropriate to focus too much attention on such frivolous spending. The second lies in the disappointing international reception to last year’s “European Games”. President Ilham Aliyev, who is known for his interest in sports events, kept an unexpectedly low profile before, during and after the F1 race. Even though he and his wife, Mehriban Aliyeva, attended the opening ceremony and presented the trophies at the end, in the preceding months, Mr Aliyev almost never mentioned this event. For example, on 16 June, the day before the race, the most high-profile remark to Parliament came from Ali Hasanov, the president’s aide for public and political affairs. This is in contrast with the attention paid the “European Games”. On that occasion, the President personally inaugurated most of the sports facilities and did not miss a chance to voice his enthusiasm. At the award ceremony, he used phrases like: “These Games united our people even more, instilled a sense of pride in us – just look at what we are capable of accomplishing!”. One year on, the quest for attention seems to have been dimmed. We can see this in the media coverage of the event too where studies reveal that the Formula One race received considerably less attention). The first explanation for this change lies in domestic conditions and the dramatic drop in energy prices. As already analysed in this blog, Azerbaijan faced a devaluation of its currency at the beginning of the year, which has led to the dissatisfaction of its citizens. In the following months, the local Manat has remained extremely weak and unemployment has risen. This situation does not seem temporary and a mix of recession and high inflation is likely for the next two years. With the exception of those who managed to rent out their balconies to view proceedings, the race, which placed an additional burden on the shrinking state budget, does not seem to have brought any particular benefits to the population. That said, the decline in living standards does not seem to have affected the Aliyev family. In April, the four-day-war in Nagorno-Karabakh caught most the public attention, but at the same time the leaked “Panama Papers” revealed that Leyla and Arzu Aliyeva, daughters of the President, held a 56 per cent stake in the development of a profitable gold mine. Given this situation, any undue emphasis on the F1 race, when most citizens are struggling to make ends meet, could have easily sounded like “let them eat cake”. The second explanation, which complements the first one, is that, after the European Games, Azerbaijan had an abrupt awakening about the limits of public diplomacy. Even though President Aliyev recently declared that: “The first European Games (…) were very successful”, very few heads of European states (namely Bulgaria, Luxemburg, San Marino and Monaco) flew to Baku to attend them. Most politicians simply declined the invitation. However, a day before the inauguration ceremony, the German Bundestag, on the grounds of human right violations, prohibited high-ranking state officials from attending the event. Additionally, in spite of some official claims about the influx of tourists (without providing any numbers), international arrivals were probably below expectations. In addition to this disappointing international attendance, few international reporters focused on the competition. Instead, most of the international press wrote about the country’s human rights record, rather than about the brand-new infrastructures. Notably, The Washington Post criticised the pop-singer Lady Gaga for performing at the opening ceremony, while some human rights defenders were held in jail. Even though presidential speeches never mentioned these facts, domestic actors observed the limited PR effect of this initiative. For example, Emil Huseynli, chairperson of the `Support for youth development’, declared that the cold reception to the games was part of a global smear campaign against Azerbaijan. Additionally, some Azerbaijani news sources reported that some Youth Groups protested against the fact that, according to them, the European Parliament politicised the Games “as a way of putting pressure on Azerbaijan”. In short, it soon became apparent that instead of boosting the international reputation of the country, the Games put the spotlight on undesired topics. In conclusion, a year ago Azerbaijan seemed a confident actor, determined to win over the international community by means of a well-funded public diplomacy campaign. However, the changed economic circumstances, together with the lessons learned about the limited efficacy of this strategy, seem to have brought about a partial reconsideration of this strategy. Looking at the English version of the official Website of the President of Azerbaijan, this event has been only mentioned, along with numerous other points, in occasion of the opening of Azerbaijani-German Economic Forum in Berlin. Translated into English by BBC Monitoring. BMI Research. 2016. “Stagflation To Persist”, Business Monitor Online, March 10 (Retrieved through LexisNexis). This entry was posted in Azerbaijan, Caucasus and tagged economy, Public diplomacy on July 14, 2016 by Chiara Loda. The drop in the global oil price represents a cold shower for the oil-producing economies. In 2008 a barrel cost $140, whereas in January 2016 it is now down to $30. The Middle-Eastern dynamics, first and foremost the rivalry between Saudi Arabia and the previously-sanctioned Iran, do not suggest a quick reversal of this trend. In light of that, the oil-rich economies have had to review their budget allocations and growth forecasts. Azerbaijan is no exception in this regard. If we compare the first presidential speeches of 2015 and 2016, President Ilham Aliyev seems extremely aware of the trend affecting the country. In 2015, reviewing the economic performance of the past year, Mr. Aliyev proudly said: “Our main economic indicators for 2014 are very positive. I can say that perhaps they are the highest in the world”. By contrast, at the beginning of 2016 the president had to admit that: “The development which was observed in previous years has not been achieved. That was not possible, because, as I have already noted, the price of oil has fallen 3-4 times”. The drop in oil prices is not purely an economic issue. Indeed, this dynamic may have strong repercussions on the political system, which is dominated by the president. Remarkably, Azerbaijan is by far the wealthiest country in the South Caucasus. According to CIA Factbook, in 2014 the GDP Per Capita was $17,800. In comparison, Georgia’s and Armenia’s was $9,200 and $8,200 respectively. Azerbaijan is also the most authoritarian of the three countries. In fact, according to the Freedom House, the country is Not Free. These data are relevant because various analyses point to a link between oil wealth and the authoritarian regime in the country. More precisely, Farid Guliyev considers that the oil revenue, managed by a State Oil saving Fund, has benefited and expanded a patronage network and ultimately has fostered the stability of the ruling regime. Similarly Jody La Porte considers oil wealth to have promoted elite cohesion and economic prosperity. These circumstances have made it possible to effectively marginalise existing and potential opposition movements. Over the years, the huge energy revenues have triggered a dynamic which often characterises oil-producing states: rentierism. Azerbaijan can be considered a rentier state since the bulk of the state budget is made up of oil and gas dividends instead of taxes. In fact, given the abundance of energy resources and the positive global energy trend (for producing states), oil and gas were the main economic focus of the country. The CIA Factbook data shows that energy commodities constitute 90% of national exports, which, in turn, compose 43.3% of the state GDP. Even if the Azerbaijani president has periodically mentioned the importance of boosting the non-oil sector, various experts seemed skeptical about the practical application of that. Farid Guliyev, analyzing the phenomenon, observes that it has mainly concretized in the form of pharaonic infrastructures, carried out by elites’ cronies and payed for by oil money. Similarly in summer 2015 another local expert, under condition of anonymity, called this emphasis on the development of the non-oil sector as an empty litany: many words and no concrete actions. This rentierism, in the absence of abundant oil revenues, does not seem sustainable anymore. Suddenly, diversification has become a top priority and the declarations about it no longer sound like an empty statement: the poor state of the local finances requires something to be done. Looking at the steps taken, the stabilization of the currency seems the main targeted area. That has been made urgent by the decision taken by the Central Bank on 21 December to unpeg the Manat (which is the local currency) from the Dollar and let the currency fluctuate. This happened only after half of the hard-currency national reserves were used up in a desperate attempt to postpone the inevitable. As a result, in a few days the Manat lost one third of its value. The devaluation of the local currency has been feared for a long time. From mid-November, hard currency was available only in banks, tourist facilities and airports. In fact, almost everybody expected it to happen in the immediate aftermath of the European games in summer 2015. Not only citizens but also banks considered this possibility extremely realistic and started to grant loans in dollars. Radio Free Europe has reported the story of a desperate debtor who explained how, no matter insistent he was, he could not obtain a loan in the local currency. Even if it was expected, the devaluation hit many citizens hard, seeing prices rocketing up in few hours and their life-time savings shrinking. In reaction, protests took place in various cities and in some cases resulted in clashes with the police and arrests. At the moment, measures taken to mitigate the monetary shock include: the imposition of limits on foreign currency outflows and the introduction of a 20 per cent currency tax aimed at discouraging direct investments or real estate purchases abroad. Additionally, the president has recently approved some poverty-reduction measures. Among them, some pensions will be increased by ten per cent. In the next months new welfare provisions, such as scholarships and extra-employment benefits, will be probably introduced. Considering these circumstances the state budget for 2016 has been revised and now forecasts factor in the oil price at $25 per barrel instead of $50. Additionally, the presidential office plans to grant fiscal advantages to investors who will diversify the economy. For example, for seven years entrepreneurs who import equipment in Azerbaijan not only will not pay taxes but also will have only half of their income taxed. However, even if almost everybody talks openly of the economic difficulties, the new circumstances will not end tout court the willingness of the country to host international grand events. For example, the organization of the Formula One Grand Prix, scheduled for June 2016, will not be affected by any new measure. In light of these elements, it is worth looking at how the president frames the issue. On January 2016 the website of the World Economic Forum published an article authored by Mr. Aliyev. On that occasion, consistent with what he had said in previous days (and which is reported at the top of this post), Ilham Alieyv admitted that global trends were not favorable to the structure of the Azerbaijani economy. However, he declared that the government was doing everything in its power to mitigate the negative circumstances. He also added that, in spite of the low oil price, Azerbaijan is still crucial in providing energy security to Europe. Thus, the authorities are actively managing the things they have control over. The next weeks and months will show the response of the population. There is no obvious development. Even if the Azerbaijani establishment is perfectly in control of its security forces, some nervousness among top elites can reasonably be expected. As Thomas de Waal masterfully put it: “The public, it seems, can forgive an authoritarian government almost anything except a falling standard of living”. LaPorte, Jody. “Hidden in Plain Sight: Political Opposition and Hegemonic Authoritarianism in Azerbaijan.” Post-Soviet Affairs 31, no. 4 (2015): 339-366. The oil revenue does not only affect domestic policies but also foreign policy strategies. In this regard, the ESI Think Tank coined the term “Caviar Diplomacy”, which refers to the Azerbaijani strategy of winning over Western public figures in exchange for precious gifts. Guliyev, Farid. “‘After Us, the Deluge’: Oil Windfalls, State Elites and the Elusive Quest for Economic Diversification in Azerbaijan.” Caucasus Analytical Digest 69 (2015). AAP Newsfeed. “CIS: Azerbaijan imposes currency controls.” January 19, 2016. “New law excepts some Azeri entrepreneurs from tax for seven years”, BBC Monitoring Trans Caucasus Unit (2016), January 19. This entry was posted in Azerbaijan, Caucasus and tagged Azerbaijan, economy, energy issues on January 27, 2016 by Chiara Loda. On 1 November a parliamentary election was held in Azerbaijan. A total of 767 candidates competed for 125 seats. As largely predicted, the ruling New Azerbaijan (Yeni Azerbaijan) party won the vast majority of seats in the Milli Majilis. These figures confirm that, as always in the recent history of the country, President Aliyev will be able to count on a huge parliamentarian majority. This element will further reinforce the preponderance of the executive over the legislature. According to official figures, turnout was over 50 per cent. The electoral campaign, which lasted 23 days, was plagued by controversy. The campaign started the 8th of October and closed the morning of the 31st, exactly 24 hours before the opening of the polling stations. The Central Electoral Committee, chaired by Mr Mazahir Panahov, was responsible for setting the formal rules of the competition. The national media gave great preponderance to the provisions taken to enhance transparency and inclusiveness, such as the installation of cameras in the polling stations, the streaming on-line of the voting process, the printing of the ballot papers and the placement of ramps for disabled voters. Furthermore, the importance of involving the international media was stressed so as not to cast any shadow on the electoral process. In spite of these praiseworthy measures, some other points seemed to restrict the national debate. For example, candidates had to be extremely accurate in filling their candidacy forms since mistakes could lead them to being excluded from the competition. Additionally, campaigning tools and venues were regulated in detail. Candidates were not allowed to put up any promotional material on buildings and monuments or to openly criticize the government. Furthermore, only media located in Azerbaijan and approved for state legislation could be used for promotional purposes. The opposition was also concerned by the economic barriers to access media outlets. In fact, differently from previous parliamentary elections, free airtime was not given to parties presenting candidates in fewer than 60 constituencies. In practical terms, only the New Azerbaijan Party (which declined) would have been entitled to that. It resulted in the Azerbaijani public Television ITV (İctimai Televiziya) costing paid airtime at the colossal sum of 3540 Manat per minute. This provision was criticised as setting unequal conditions for independent candidates. Mr Panahov backed this provision saying, first, that it was due to economic difficulties (even though ITV is fully subsidized by the state) and, second, that it was nonsensical to grant national coverage to parties that were eligible to stand in only some constituencies. He also pointed out the availability of other campaign tools such as: “Meeting directly with voters, preparation and distribution of campaign materials and paid election airtime in media outlets, including media outlets operating across the country.” However, the opposition forces complained that campaign restrictions, together with the unaffordable cost for the election-related advertisements, severely hindered the substantial competitiveness of the campaign. This is not the first time the OSCE/ODIHR’s actions in Azerbaijan have been plagued by controversy. In the presidential election of 2013, it was the only group to unequivocally assess the election as rigged. By contrast, authoritative bodies such as PACE (the monitoring mission of the Council of Europe) endorsed the elections as free and fair. Investigating the reasons behind this dramatic discrepancy, the ESI Think Thank argued that some enthusiastic rapporteurs had long-standing personal connections with the Azerbaijani elites and that, by virtue of these ties, in the past they enjoyed fully-funded trips to Baku and generous gifts (which is where the name “Caviar Diplomacy” comes from). The ESI report had great resonance and triggered angry reactions from the Azerbaijani establishment. The aforementioned electoral controversies lead some opposition parties to announce their intention to boycott the elections (even if individual candidates still decided to run). The Republican Alternative party (REAL) also said it would not recognize the results. It was also proposed to postpone or re-hold the ballot. Remarkably, REAL, whose leader Ilgar Mammedov has been in jail since March 2014, suggested first working to ensure the conditions for a free and fair environment (release of political prisoners, free airtime, etc) and then to repeat the election in 2016. Similarly, the Musavat party asked to reschedule the election and to restore democracy in the country. Looking at the actual conduct of the election, the National Council of Democratic Forces (NCDF, a platform of opposition parties) said that, in spite of the official claims, the turnout was no higher than 10 per cent and that the result was unrepresentative of the popular will. On the same note, the pro-opposition Turan Information press reported cases of carousel voting and ballot stuffing. Similar comments were made by independent Azerbaijani observers. By contrast, various international observers said that the election were free and fair. Among them the PACE Election Observation, the Bulgarian delegation, observers from Kyrgyzstan and Latvia and the CIS mission. “Candidates will not get time on OTV” (2015, 09 October), Turan Information Agency (Retrieved through Lexis Nexis). “Senior Azeri official accuses Europe of double standards” (2015, November 1) BBC Monitoring Trans Caucasus Unit (Retrieved through Lexis Nexis). This entry was posted in Azerbaijan, Caucasus and tagged Azerbaijan, parliamentary election on November 4, 2015 by Chiara Loda.